The Art Centre specialises in high quality bespoke picture framing using only the finest of materials sourced from around the world. 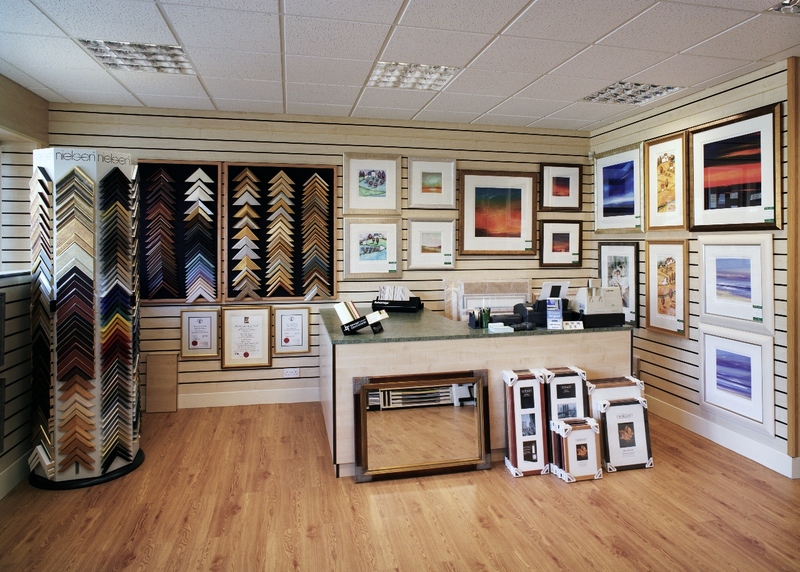 Our experienced professionals undertake all types of framing for a wide and varied clientele to suit any budget and offer in depth advice on all aspects of picture framing. We can create hand crafted frames to compliment any type of artwork and 3D items using many years of knowledge & expertise. Visit us to view our extensive selection of beautiful framing on display or call for an estimate. 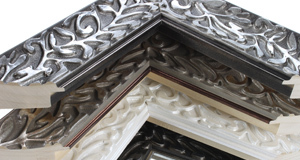 We have been designing & manufacturing bespoke picture frames for over 30 years. Let us guide you through our extensive range of framing & mountboard to create a unique frame that will compliment your artwork. We stock an extensive range of artists’ materials from Daler-Rowney, one of the worlds leading brands. Visit us today to browse through our range of paints, brushes, surfaces & accessories. I would be happy to recommend your work, and have already done so to a selection of those who have attended the openings of both exhibitions here in the last few weeks. The quality of the framing is excellent, and at a very good price. Most of all, though, the service was knowledgeable, confident, and extremely efficient: you managed to produce fine quality work to an extremely tight deadline. Again, many thanks. As a professional artist I have been using The Art Centre in Kelty ever since I was introduced to them in 2001. Peter and Staig provide a friendly and professional service and work to a consistently high standard. They have been very helpful over the years in sourcing appropriate styles of frames as my work has changed. I would unhesitatingly recommend them. Dear Peter, I am absolutely thrilled with the frame and the mounting of my Family Crest along with my Fathers WW2 medals and my own modest contribution. My Family gave me the Crest as a 70th Birthday present and we added the medals as a bit of history. Again thank you for a superb work of art. I have had my paintings & prints framed by Peter and Staig at The Art Centre for many years. They always provide a quality finish and a quality service. 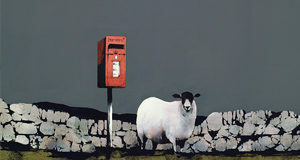 I know I can rely on them to frame my work to the high standards required by the Galleries I rely on to sell my work. The Art Centre, Kelty, has provided me with framing for gallery exhibitions which is of the highest quality in craftsmanship – without fail. I have been having my work framed by the Kelty Art Centre for nearly 20 years now and I have no hesitation in frequently recommending them to my clients and to other artists. They provide an excellent, professional-quality service at a very reasonable cost and have been able to frame large-volume exhibitions and one-off commissions for me to the highest standards. I have shown my paintings in their frames in numerous venues in this country and overseas and their craftsmanship has been expressly complimented by curators, art-critics and the general public. The framing of a painting is as important to its overall appeal as the hours that may have been spent on the choice of colours, or the attention given to the brush strokes. The two expert framers at The Art Centre in Kelty understand this. Their skill and years of experience give them an intuitive feel for the right type of mount or frame and they will also take the time to listen to the customers' ideas and preferences to ensure that every work of artis shown in the best possible light. This is a gem of a resource for artists throughout central Scotland and beyond. No wonder so many of my artist colleagues are happy to travel miles to this centre of excellence. I am so lucky to be just a few miles away!